Chase graduated from UW-Milwaukee with a double major in Finance and Operations Management. He joined Tax Management Services in 2012. Before joining Tax Management Services, Chase spent time working in Appleton as a Financial Planner. He also had the chance to work in the back office of our former Broker Dealer, SII Investments where he became well educated in the compliance side of our business. Chase enjoys spending time with clients developing strategies for their future. Retirement Planning and consulting on the many wonders of Life Insurance are his two passions, but he has a vast knowledge in everything from college funding strategies to company sponsored plans. Chase has the tools and software at his fingertips along with knowledge from vast experiences and mentors who have allowed him to help guide his clients to a suitable financial plan. He looks forward to growing with his clients for many years to come. Chase holds security registrations FINRA Series 7, Series 66, and is Life Insurance and Variable Annuity approved. Chase has worked with many service organizations in the Fox Valley area and prides himself on maintaining and growing those relationships in that area. 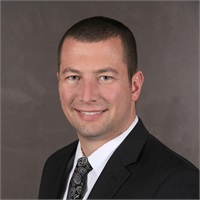 He is an active member of the DePere Chamber of Commerce and Current (Green Bay’s Young Professional Network). Chase’s favorite quote is from Hall of Fame coach Vince Lombardi, “Perfection is not attainable, but if we chase perfection, we can catch excellence.” He believes this message can be carried over into everyday life from work to leisure and he tries to implement it on a daily basis.